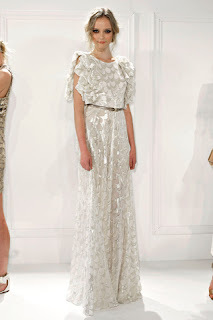 "Easy glamour" was the tagline for Rachel Zoe's Spring 2012 Ready-to-Wear collection. I think she succeeded, what about you? I. LOVE. RZ. Dressed up as the zoe for halloween last year! 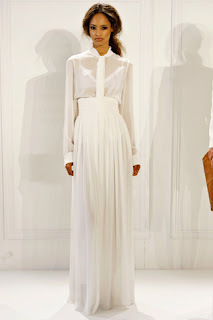 love the first white gown. Love that gal - such a tiny little spitfire! Wow...gorgeous line! I really need to get into Rachel's show! I'm totally missing out! Amazing. I love the first skirt. These are all beautiful. oh yes for sure. i LOVE rachel, my favorite is that top look! !